The idea for my first children's book started about 10 years ago. Being a busy executive, I did not find the time to complete the rough draft that came to me very quickly one day. Now having had some time and space, I am looking forward to presenting this to the world soon! Nanoo is Ollie’s beloved grandmother and an astronomer who discovered the planet Terenza, in a gentle galaxy east of the moon. When Nanoo disappears on a trip to the Outback, Ollie cannot accept that she is gone. He is worried, sad and refuses to believe that Nanoo would leave him. He feels helpless sitting around on his farm with only his faithful Labrador, Chloe, to listen to his feelings. However, his luck changes when the Starchaser and his Star-fordshire Terrier, Buddy, plot a way to get to Earth from Terenza. The boys and their dogs begin an epic adventure to find Nanoo. 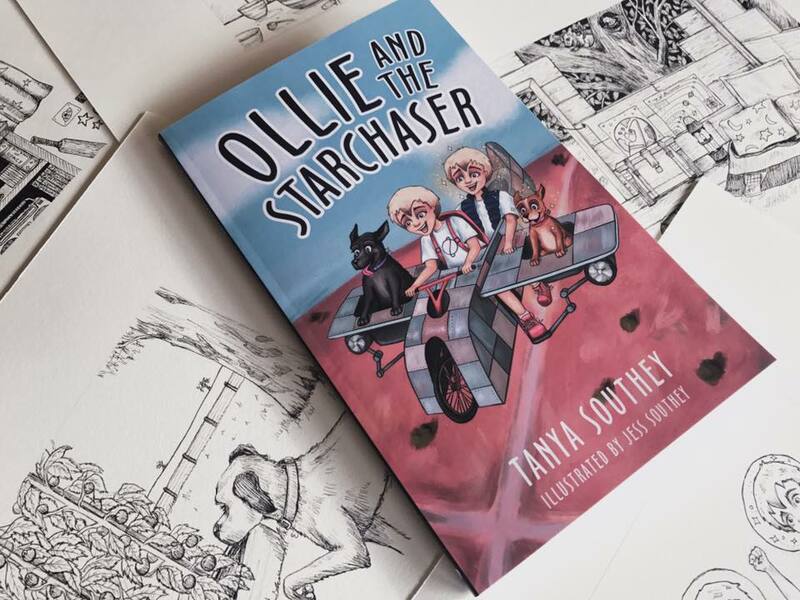 Their journey takes them across the Outback, up the Steps to the Moon and into space. But will Ollie find her, and will he bring her home? Available now on all booksellers (Amazon, Barnes and Noble, the Book Depository, Booktopia) or click on the link to purchase from the publisher.